I got so many gorgeous protea flowers on my Instagram feed recently and I thought it was high time these gorgeous blooms got a post, all of their own. Proteas are the national flower of South Africa, which are my new favorite addition to a bridal bouquet, inspired by so many great photos on Instagram and Pinterest. 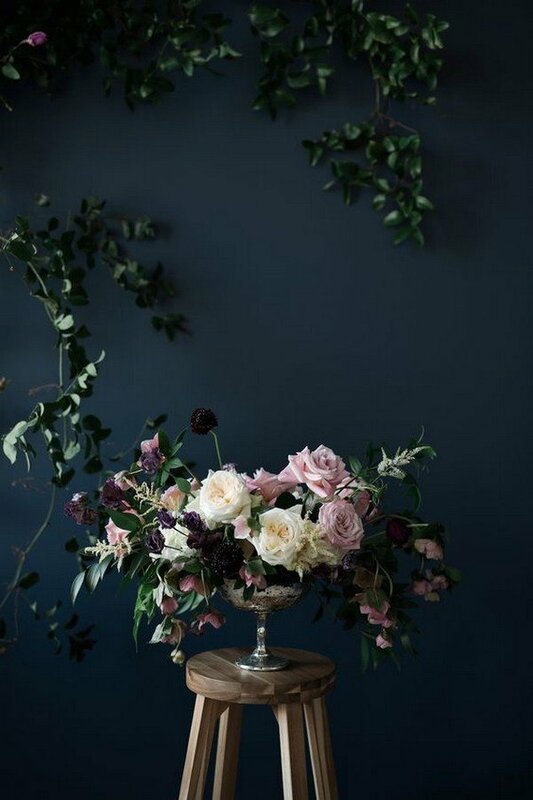 A statement bloom that varies from bright corals to rich pinks, and off-white blushes to touches of purple, Protea even come in deep red, dusty blue and almost black. So you can see they can always perfectly matched with your wedding colors and themes. 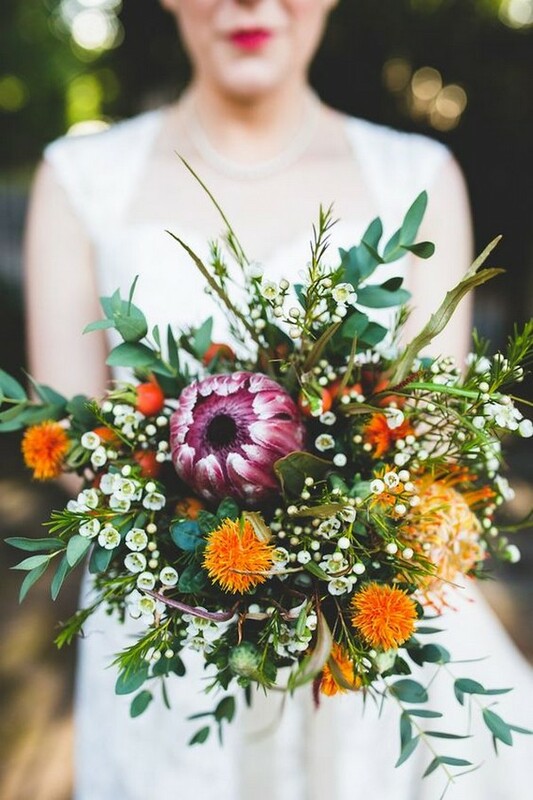 The following are some of my favorite proteas wedding bouquets. Check them out and get inspired. When considering wedding trends for 2018, we keep coming back to striking neutral wedding color palettes. 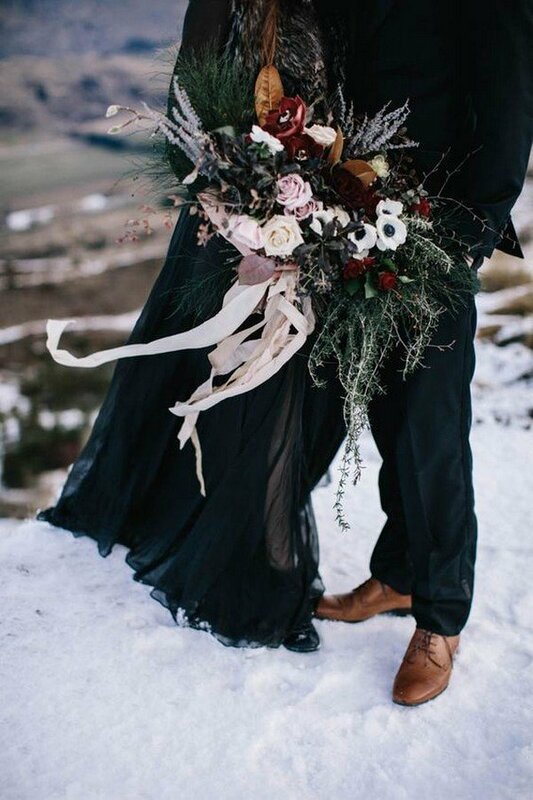 Since elegant shades of grey, a mix of ivory and white, accents in black and metallic will all dominate weddings this year, we’re looking back at a few of our favorite neutral weddings for color palette inspiration. 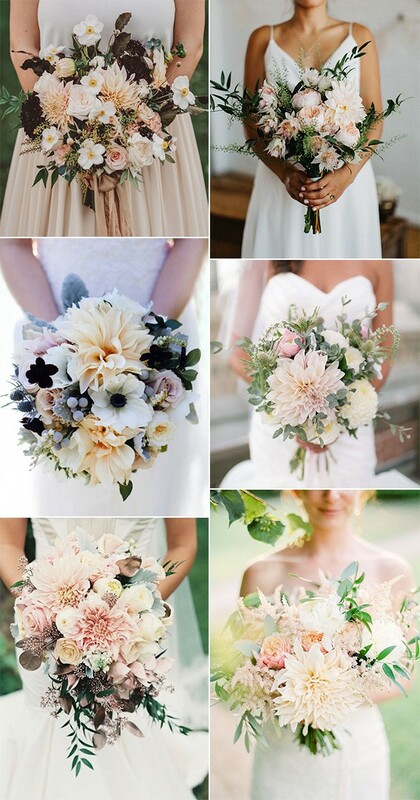 And today we’ll start with neutral wedding bouquets. 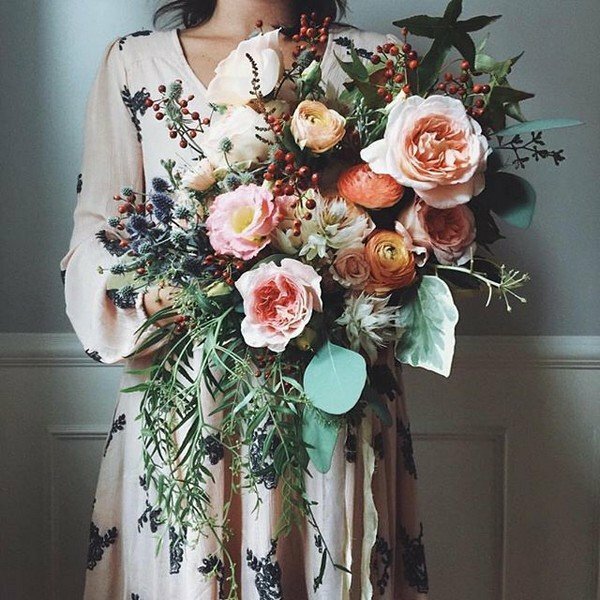 When it comes to the bridal bouquets, moody is one of the greatest trend that allows your nuptials look outstanding and memorable. Try dark purple, red, navy and green colors with grey, black and brown to achieve that special mood. You can also go for a black lace gown or just a dark-colored one, rock black lace shoes and a gorgeous lush decadent bouquet. Choose a black suit and shirt for your groom and dark-colored dresses for your bridesmaids. Get dark candles, fruits and berries to create a decadent atmosphere. 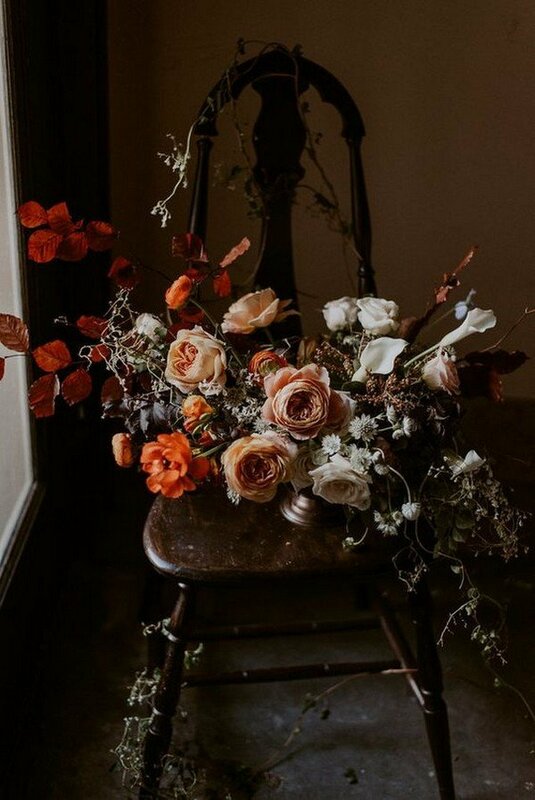 Check out these fabulous moody wedding bouquets ang get inspired. Can you smell it? Maybe if you close your eyes. Take a deep breath and it’s right there. The smell of spring is right here and I couldn’t be more excited. 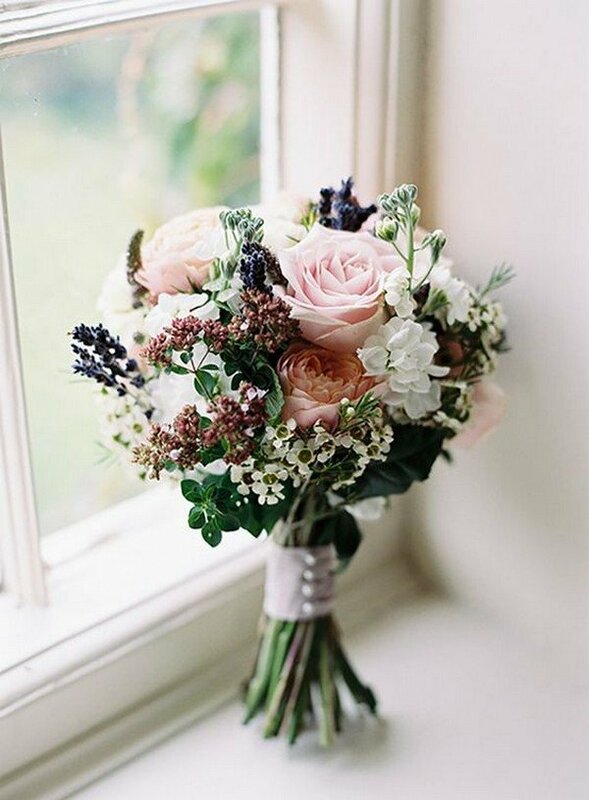 We’ve gathered some of the most gorgeous spring bouquets I have ever seen to put a Spring in your step! 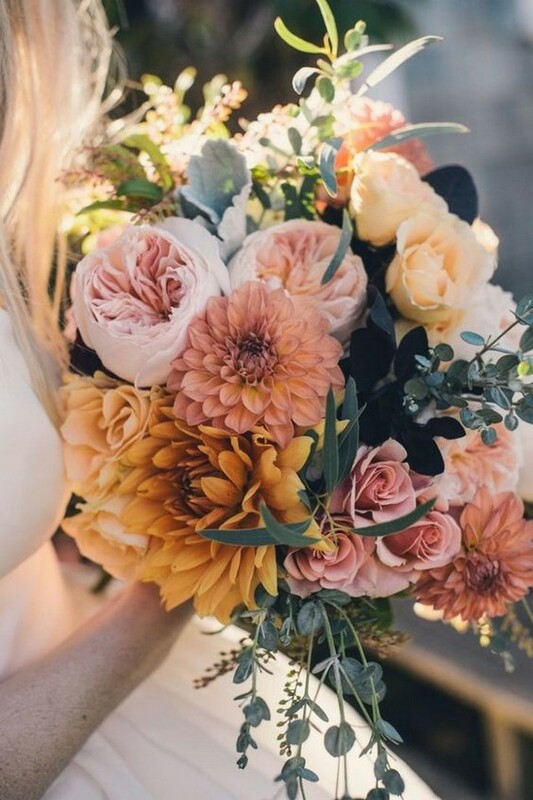 If you’re not sure where to take your theme, these bouquets will surely help you out, maybe with your colors, your flowers, or even with the atmosphere. I’m sure you’ll find plenty of inspiration in these dazzling arrangements. Now we will give you some clues to the process of decorating a ceremony arch. This element of the set is extremely important – here groom sees his bride for the first time in the white wedding dress, they exchange touching vows and then kiss being wife and husband. As you can guess, your photographer will take dozens of pictures in this location, so make it perfect. 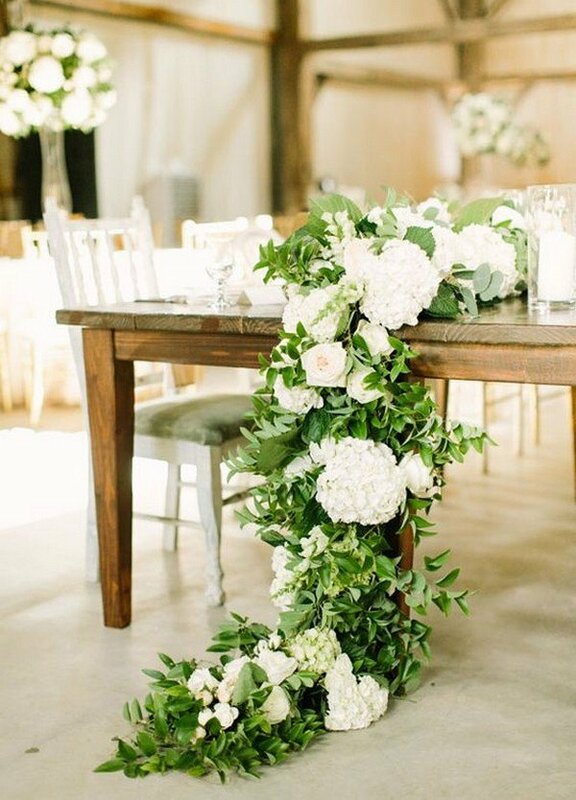 You should choose flowers according to the theme and the set: rustic wooden arch can be decorated with bunches of flowers and fabric draping, floral garlands will add bohemian touch and at the beach use exotic plants and bright colors. We have gathered floral wedding arch decoration ideas and you will find shots both with the whole composition with the backdrop and with flower details. Take your time! 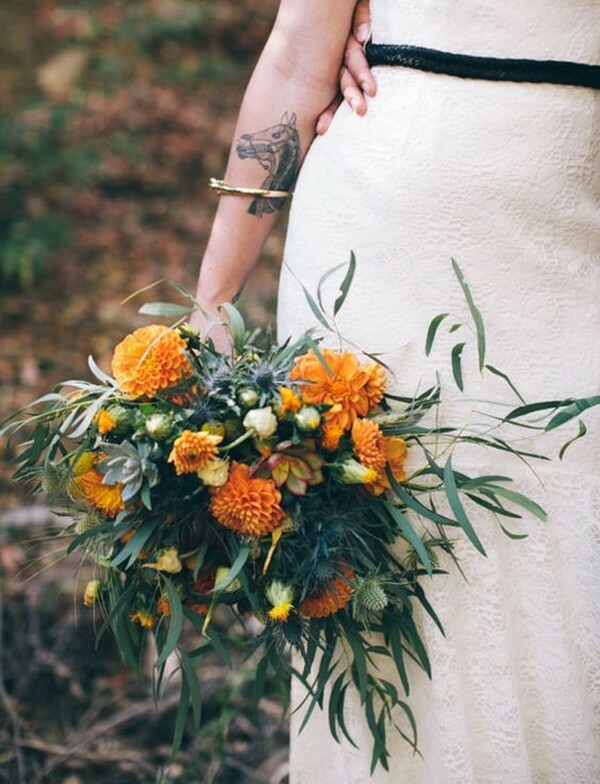 A Bohemian Wedding is like pages from a mythical woodland enchanted book. 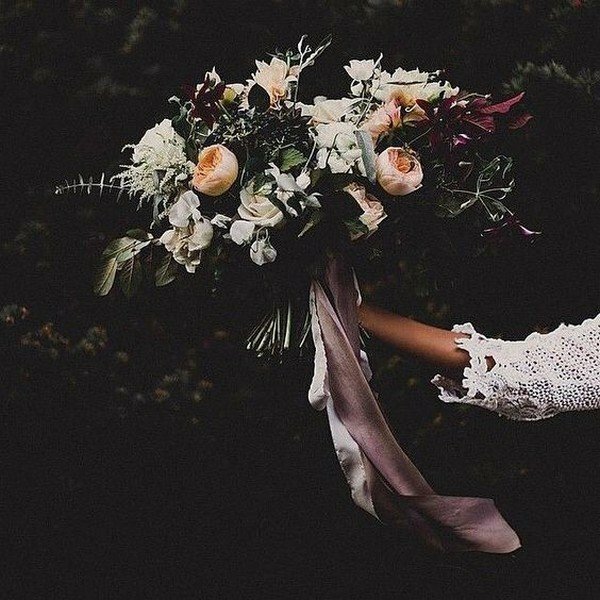 Boho Chic Weddings have a distinct soft and romantic feel that is earthy and inspired by nature and the beautiful outdoors. These wedding ideas are for sure some of my favorites and I hope you enjoy them as much as I do! We call them boutonnieres, while others refer to them as buttonholes. Boutonniere is actually the French word for “buttonhole” and back in the day, the boutonniere was worn on the left lapel of a suit jacket and placed through the buttonhole. Well, I’m not here to give you a history lesson, so I’ll just say that though they are small, they are mighty. They can match the bride’s bouquet or not. They can go with the color palette of your wedding or be a statement piece. Here’re some stunning boutonniere ideas to choose from. Lavender is known as a soft, romantic shade of purple that works well with almost any other combination, which is frequently used in wedding celebrations, from color palette, decorations to dresses and favors. 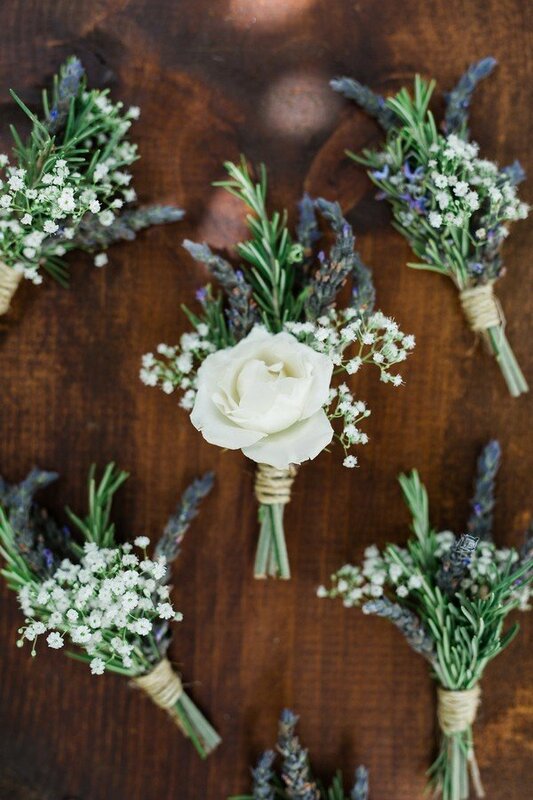 Here’re some loveliest lavender wedding ideas for your reference. Get a cup of coffee and move along to steal for your own event!